Dr. Mercer unveils the new Joe Nailer Too Cool to Smoke! 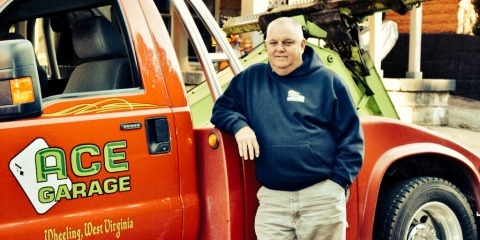 Dr. William Mercer is well known in the local area as a driving force behind the Clean Indoor Air Regulation that banned smoking in most public spaces in Ohio County back in 2005. What may not be so well known about him is his “Joe Too Cool to Smoke” campaign geared toward local school students. Here’s a sneak peek of Joe Nailer — stay tuned for the big reveal at around 11:30 a.m. today! Today, his love of all things Snoopy will play a major role in bringing a new mascot to Wheeling — “Joe Nailer Too Cool to Smoke.” This new statue was unveiled today at an educational event at the Wheeling Nailers game at WesBanco Arena. During the game, a new Joe Nailer Too Cool to Smoke statue was presented to the community. After his unveiling, the statue will be on permanent display at WesBanco Arena when he’s not on the road making public appearances. 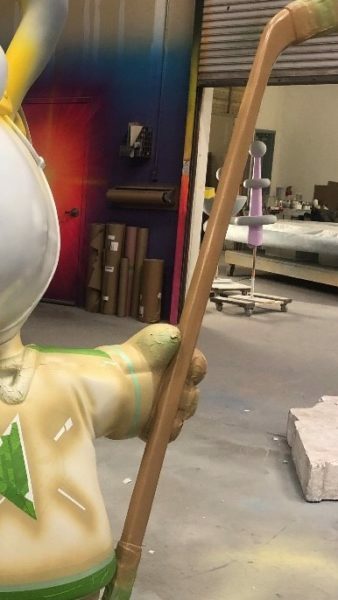 This statue, which was once displayed at the Mall of America, is currently being re-imagined at TivoliToo Inc. where it was originally built. Dr. Mercer promises that Joe Cool’s reincarnation as Joe Nailer Too Cool to Smoke will be a treat for local hockey fans to behold. Charles M. Schulz’ character Joe Cool. 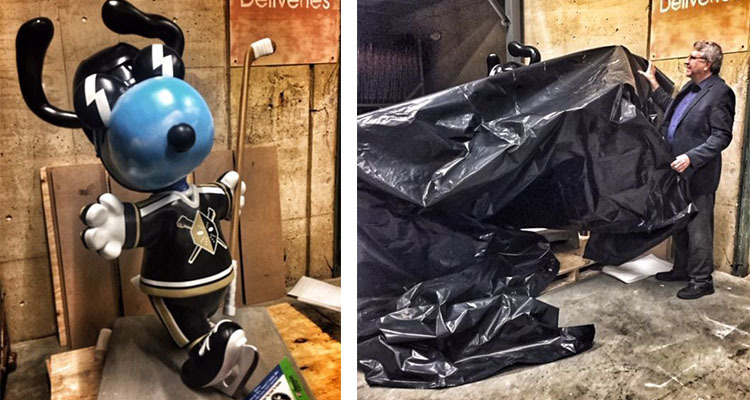 How did Joe Nailer make his way to Wheeling? Dr. Mercer has long been a fan of the “Peanuts” comic strip created by American cartoonist Charles M. Schulz. As a youngster, Dr. Mercer dreamed of being a cartoonist himself and learned to draw by copying the “Peanuts” comics. He was particularly fond of Snoopy, Charlie Brown’s four-legged, floppy-eared companion. As avid “Peanuts” fans well know, Snoopy also has several alter-egos, including the Flying Ace and Joe Cool. 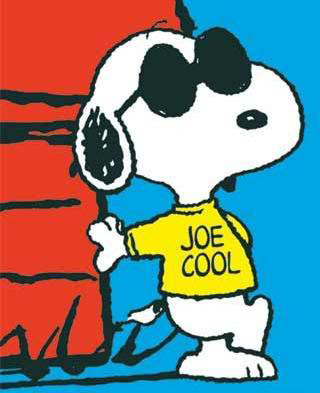 As Joe Cool, Snoopy dons a pair of dark shades and pretends to be a hip college student. Over the years, Dr. Mercer has decorated his medical office with all manner of Snoopy and Joe Cool décor, most of which has been given to him by patients. He finds that the cartoon canine has timeless appeal across generations. When Charles M. Schulz passed away in 2000, a number of statues of Snoopy and the entire Peanuts gang were created by TivoliToo Inc., a 3-D custom-sculpturing company in Minnesota where Charles once lived. The statues were displayed in his memory in St. Paul, Minn., and in Santa Rosa, Calif., towns where Charles lived and worked. Festivals featuring these statues, sanctioned by the Schulz family, were held in both towns as a tribute to Charles, and these festivals were officially called St. Paul’s Tribute to Charles M. Schulz and Santa Rosa’s Tribute to Charles M. Schulz. 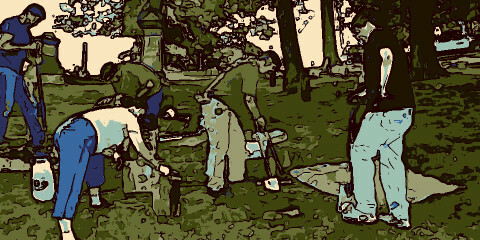 Over the years, the statues were also displayed individually in various locations around the country, including the Mall of America in Minnesota. Shortly after the Clean Indoor Air Regulation passed, Dr. Mercer wanted to take his anti-smoking campaign to the students of Ohio County Schools. He hatched a plan to get his hands on one of the Snoopy statues from the Schulz tributes and create Joe Too Cool to Smoke as a visual aid for his educational program. But doing so would require the blessing of the Schulz family and Charles’ widow, Jeannie, who oversees the business portion of her late husband’s estate. Dr. Mercer went out on a limb and contacted Jeannie and her son Craig, pitched his idea to them, and after some design negotiations, was given the family’s stamp of approval. Joe Too Cool to Smoke came to life and went on the road visiting hundreds of students. 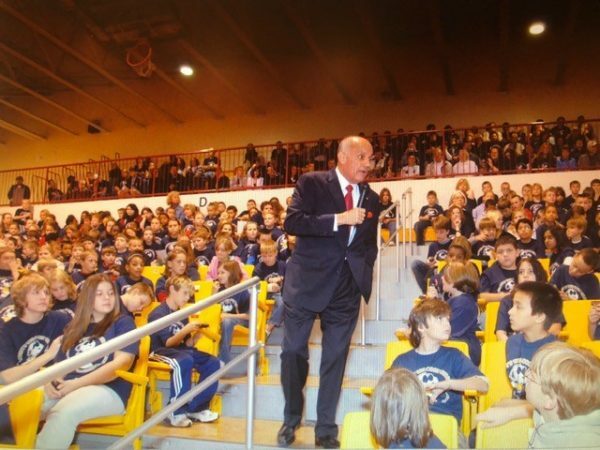 His inaugural appearance at an educational event at Wheeling Jesuit University drew a crowd of over 500 students and featured an appearance by then-West Virginia Governor Joe Manchin and Surgeon General Richard Carmona. Dr. Carmona’s appearance was significant because he had recently issued a Surgeon General’s Report about the ill effects of secondhand smoke. Former Surgeon General Richard Carmona talks to students about the dangers of secondhand smoke. Last year, though, the original statue suffered a mishap that opened an unfortunate crack in his shell after a rather rough car ride. Joe Too Cool to Smoke is a trooper, however, and he still makes regular appearances at Ohio County schools despite his injuries. But after this week, the new rendering of Joe Too Cool will also be available for public appearances. Recently, Dr. Mercer was contacted by the Wheeling Nailers organization and invited to present his program at one of their upcoming games. 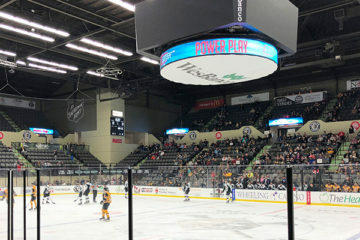 Dr. Mercer was happy to assist, and today, Education Day was held as the Nailers took on the Toledo Walleyes at 10:45 a.m. The audience was comprised of nearly 5,000 students in kindergarten through 12th grade from over 30 local schools. Dr. Mercer and his team presented several short educational videos between periods to teach the students about the dangers of smoking, using smokeless tobacco and being exposed to secondhand smoke. In addition, there was a special video featuring an anatomy lesson about lungs and how they function. 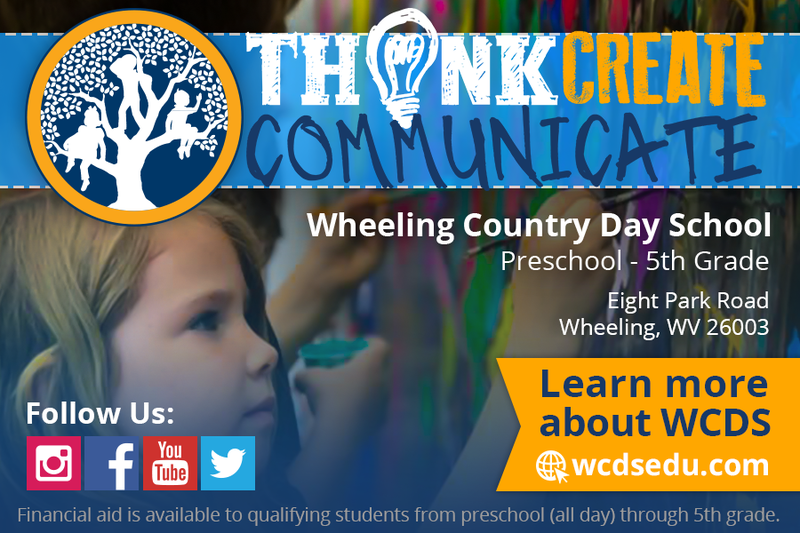 West Virginia Sen. Joe Manchin, Wheeling Mayor Glenn Elliott and other special guests were expected to be in attendance for this educational event. Corporate sponsors for this special event are TB Association of Ohio County, Peterson Rehabilitation Hospital, Wheeling Hospital and Wheeling-Ohio County Health Department. As an added bonus, each student who attends will receive a special souvenir T-shirt and a pair of Joe Cool’s trademark sunglasses. Good grief, Charlie Brown — it doesn’t get any better than that! In order to bring Joe Nailer Too Cool to Smoke’to life, Dr. Mercer once again had to ask for Jeannie’s approval of the design. Over the years, Jeannie and Dr. Mercer have become friends, and she was quick to grant him permission to make Joe Nailer a reality. And even more impressive — Jeannie allowed the statue’s unveiling at the Nailers game to be billed as Wheeling’s Tribute to Charles M. Schulz, an honor previously granted only to the two towns where Charles lived and worked. Because of Dr. Mercer’s passion for Snoopy and the artist who created him, Wheeling is now forever connected to the legacy of the late cartoonist. As Charles always said, happiness truly is a warm puppy — or at least a statue of one! • Ellen Brafford McCroskey works in the Lawyer Development Department at Orrick’s GOC in downtown Wheeling, where she has been employed for seven years. 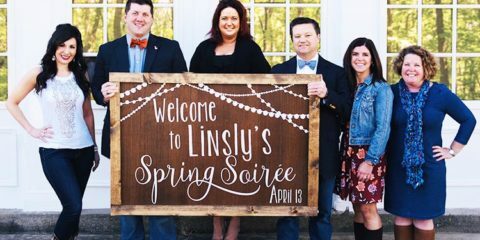 A lifelong Wheeling resident, she is a graduate of Wheeling Park High School and Wheeling Jesuit University with a bachelor’s degree in human resources management. Her hobbies include writing, photography and crocheting. 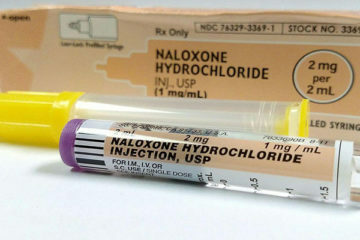 Her pet causes are educating others on the need for solutions to the opioid crisis and the need for equality for all people. Ellen resides in Warwood with her husband Doug, who is the Ohio County Dog Warden. Their extended family includes four adult children and their significant others; a number of biological and “adopted” grandkids; their dads; numerous in-laws and outlaws; and several rescued pets. 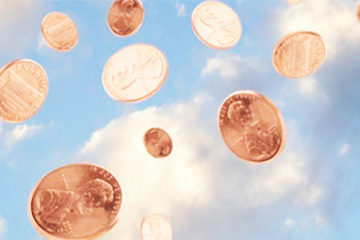 Pennies From Heaven … Thanks to Kenny?